Second half goals from Kharl Madianga and Jean Alassane Mendy gave the Dark Blues a 2-0 win at Peterhead in group D of the Betfred Cup. Following a quiet first half Madianga put the Dee ahead four minutes after the restart. 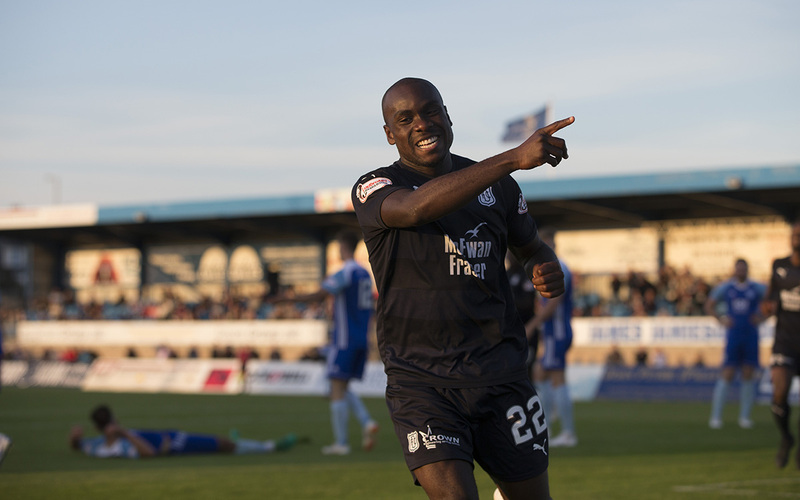 Mendy’s goal in injury time made the points safe for Dundee. The Dark Blues made four changes following Sunday’s defeat against Dunfermline. Elliott Parish replaced Jack Hamilton in goal. Jesse Curran and Steven Caulker came in for the injured Nathan Ralph and Genseric Kusunga, while Lewis Spence started with Craig Wighton moving to the bench. 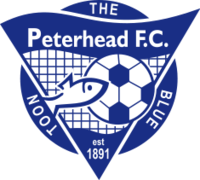 Peterhead made two changes after losing at home to Stirling Albion. Aaron Norris and Russell McLean came in for Scott Brown and Willie Gibson. Dundee spent the first 10 minutes in the home half without bringing home keeper Greg Fleming into action. When Peterhead did force their way into Dundee’s half they almost opened the scoring. The Dee defence failed to deal with a corner, allowing it to drop to Jason Brown’s feet six yards out, but Elliott Parish blocked the shot. An uninspiring first half produced only one other chance, or rather half chance, and again that was at the Dundee end. A cross broke to Russell McLean, 16 yards out, but he sent his shot straight at Parish who was able to parry. Dundee couldn’t turn endless possession into any real penetration of Peterhead’s deep lying defence and midfield. Too often the crossing was poor, especially from set pieces, and too many moves petered out in the face of a well organised defence. From the start of the second half Dundee showed more urgency and penetration. The passing and movement were faster and sharper. With the increased tempo the Dark Blues started to find space and make life much harder for Peterhead. When the home side made a hash of trying to clear a Dee attack Jean Alassane Mendy turned on the edge of the penalty area and sent his shot narrowly past the post. After 49 minutes Dundee took the lead with a beautifully crafted goal. Jesse Curran attacked down the right and played the ball in for Paul McGowan, just inside the penalty area. The Dee midfielder spun on the ball and, instead of crossing, set up Kharl MADIANGA, racing in from midfield, to take a perfect first touch before rifling a low shot home from 16 yards. With Dundee ahead the game started to open up and the Dark Blues seemed sure to add to their lead. Peterhead did have a fleeting chance when Elton Ngwatala carelessly lost the ball trying to run out of defence, but Parish saved Jamie Stevenson’s angled drive. The game now consisted largely of Dundee holding the ball in Peterhead’s half and probing the home defence as they tried to find the opening that would lead to a second goal. Both full backs, Jesse Curran and Cammy Kerr, were prominent in attack, and Curran went close from 20 yards at the end of a patient move. Midway through the second half Craig Wighton came on for Sofien Moussa. The substitute led a fast breakout from a Peterhead attack and pulled the ball back for Paul McGowan, who almost scored a freakish goal when a last gasp tackle saw the ball rebound of him and past the keeper but wide. Mendy went close in more orthodox fashion with a carefully placed shot from 18 yards, but Fleming touched the ball away at full stretch. Elton Ngwatala beat the keeper with a looping header from a McGowan cross, but the ball dropped the wrong side of the post. When the clocked ticked past 90 minutes Dundee were comfortably in charge with Peterhead throwing men forward but struggling to give Parish any real problems. Finally, two minutes into injury time MENDY won a high ball out of defence then took Craig Wighton’s quick return pass to run clear and stroke the second goal past Fleming. This was a tricky game for Dundee against well drilled and cautious opponents for the first 45 minutes. Once the Dee upped the pace and started to knock the ball about and find space they quickly took the lead and always looked like going on to win. It wasn’t a vintage performance but it was good enough to give Dundee a well deserved win. The Dark Blues were certainly a much more effective and attractive outfit after half time. 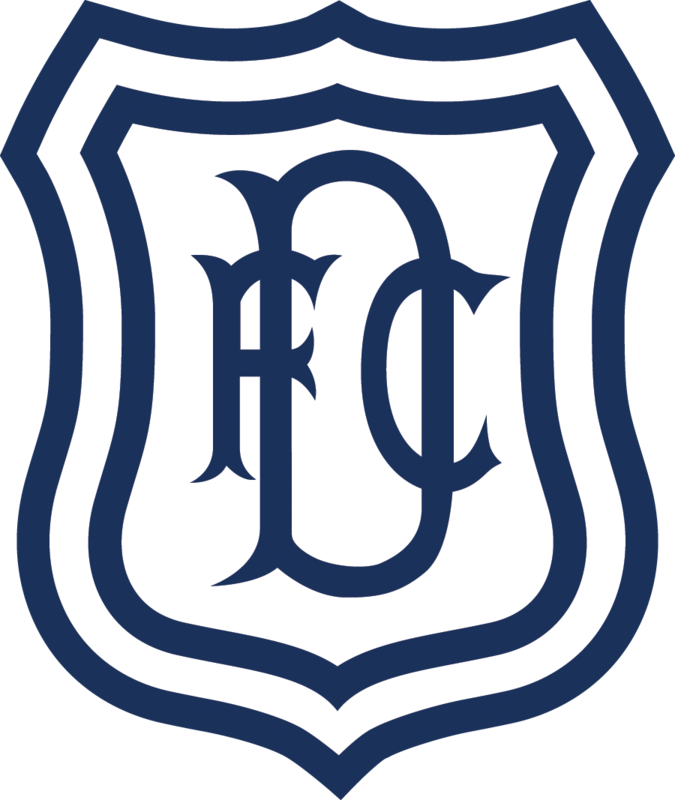 Dundee have had tough League Cup ties up here in recent years, winning only on penalties in 2012, and losing 2-1 in 2016. This was a definite improvement on those games and there was little danger of an upset tonight. Kharl Madianga’s goal in particular was a pleasure to watch. In the last couple of years Dundee haven’t had enough goals from midfielders making well timed runs into the penalty area. Let’s hope we see plenty more like that. Unused subs : Gibson, McCracken, McDonald, Scott Brown, Buxton. Booked: Home (foul on Ngwatala). Unused subs: Hamilton (gk), O’Dea, Haber, Rice, Henvey, Lambert. Goals: Madianga (49), Mendy (92). Booked: Ngwatala (foul on Norris). Referee: Euan Anderson. Assistants: Anthony Cooper, Willie Ferguson.